I would like to share firstly, that I regret not to be able to deliver my speech to you directly and have asked our school Principal to share instead. The Strategic Plan is developed with the three year lifecycle, that is reviewed annually and amended as required, and then substantially updated at the end of the three year period. This year was the first year of a new plan, so it was anticipated that the update to the Strategic Plan this year would only be to reflect the achievements over the past 12 months. The review and update of the Strategic Plan was conducted by the whole Board and was facilitated by David Robertson, who is the Executive Director of Independent Schools Queensland. At the Strategic Planning Day, there were presentations on the future financial projections for the School, the pathways to establish a High School and a review of the work being done at the school to achieve the Strategic Plan. Throughout the day, David Robertson also provided his insights into how the Caboolture Montessori School is performing in comparison to other independent schools in QLD. Our Environment – as you can see, this was our greatest achievement in 2017, which is reflected in the completion of a number of deliverables, as outlined already. Overall the updates to the plan, although not substantial, reflect the ongoing progress that the MBMA Board and the CMS School Management have achieved in 2017. The updates to the plan represent the recognition of these successes and subtle adjustment of the plan to keep us on track to achieving steady growth of the Caboolture Montessori School. Happy Easter and thanks for your commitment to your children’s school. Hello, my name is Alex, and I am the new President of your P&F. For those of you who don’t know me, I have two children here at CMS – Rosie is in 1C and Elliot is in 1D. We’ve been at the school since 2015, and I joined the P&F in 2016 as the Minutes Secretary. I would like to thank the outgoing committee members, Joe, Louise and Waiti, for their contributions to the P&F over the last few years. Their effort, dedication and time have contributed greatly to the P&F and the School Community. The other incoming Committee Members are Anita Wilson, who is the Secretary, and Kylie Sartorelli who will be the Special Events Coordinator. There is currently a vacancy on the Management Committee for the position of Treasurer. If you feel that you can fulfil this role, please get in contact. In 2017, the P&F held Mother’s and Father’s Day stalls, served food at the School concert, provided icies on Fridays, welcomed new parents, held a raffle, and put on an end of year disco. We donated two new barbeques to the School, provided funding for parent helpers to attend school camps, and support was given for the purchase of Montessori classroom materials. 2018 is a big year for CMS, and the P&F is excited to be supporting the school’s 20thAnniversary program of events, as well as planning some events of our own. We will again be holding Mother’s Day and Father’s Day stalls, providing food at the concert, putting on a disco, and running raffles over the next three terms. We need your support. We have been working very hard over the last few months to produce a new structure for the P&F, which adheres more closely to our Constitution, and which will also allow for more Community Members to contribute where they can. The most immediate way you can support us is to become a member. We’ve discovered that previous beliefs about membership are not correct. We need each member of the School community to become financial members of the Parents’ and Friends’ Association. The membership fee is $2, payable just once. Having official members of the P&F is vital for our Association, as we apply for grants and other funding. Please fill in a membership form before you leave the library today and pay your $2, to myself or Kylie. Otherwise membership forms are available at the office. On Wednesday 18th April, the first Wednesday back in term 2, we are having a planning meeting. I encourage everyone to come along if you can. All ideas and suggestions are most welcome. If you can’t make the meeting, please email us. We are very keen to get your input. Our primary fundraising goal is a new playground. The playground just outside this library is tired and needs replacing. We were unsuccessful in a grant application last year, but we will be applying for more grants this year. We are also very keen to broaden our fundraising scope to the wider community. Our first event in term 2 is a sausage sizzle at Bunnings Morayfield on Saturday the 28th April. Please support us by volunteering on the day, or come down to Bunnings and buy a sausage and a drink. As a School Community, we can all work together to contribute to our fundraising efforts. Become a member today, and help us achieve this goal for our kids. 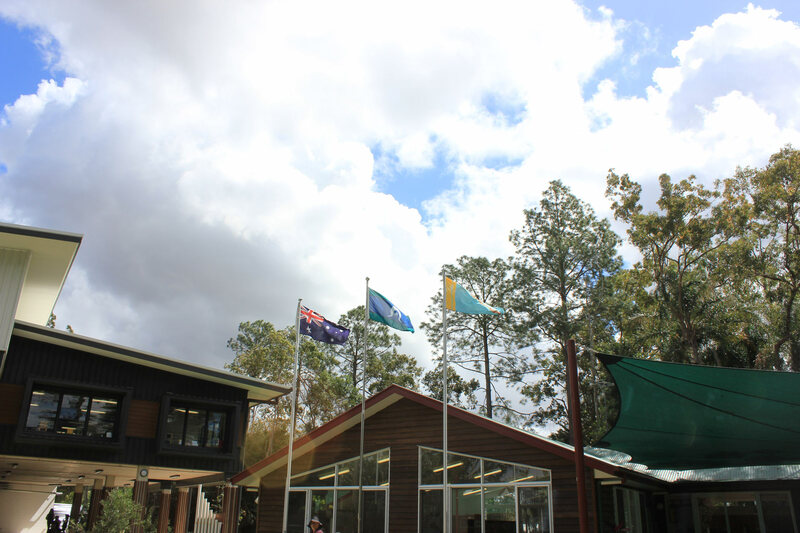 1998 – Two teachers, Annette Soliman and Yvonne Rinaldi and a visionary, Mrs Glenda Sawtell opened the then Harmony Montessori School with 18 students. No real home, no real money but tons of hope and motivation. 2018 – We are 20 years young. We have today just over 200 students and 35 toddlers. We fill 10 classrooms and looking to add two more next year taking our school to approx. 250 students and 12 classrooms, not counting our Italian classroom and our music space. This school is grateful for loyal parents, dedicated teachers, visionary leaders in Board and Principal and beautiful students. Where to next? Our Board President Nick Willemsen has shared with you our Strategic Plan and so you have heard that our story will continue to develop and we are getting ready to take another step into the world of secondary education for two main reasons. Our parents want a Montessori continuum and we want to provide our children with an environment that will continue to be positive and that will augment and not restrict their capabilities. Our focus will not diminish for our primary students, in fact if anything it will provide more opportunities and ways of learning – always within the Montessori philosophy and methodology. Thanks you for attending this meeting and we are always happy to answer any questions you may have or that may rise in the future. attracting them as to a single centre. under the tutelage of an inner guide.